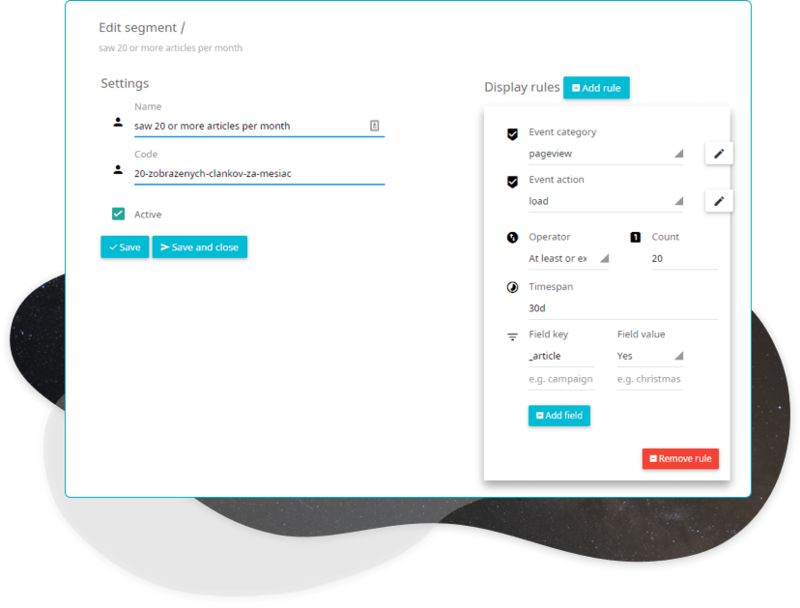 With REMP Beam, you get control over your Accounts and Properties, as well as the option to create Segments – a list of users matching your predefined rules at a specific time. Edit segments, add specific filters and rules to it – define which events you want to track in a desired period of time. REMP Beam along with other tools allows you to arrange the target audience and automation for delivering your online campaigns. Live traffic overview for newsrooms: What are your visitors reading right now? Live dashboard shows the most visited articles at this very moment together with the total unique visitors number, total number of conversions (how many people bought subscription because of this article) and conversion rate (what % of visitors convert to subscribers). Segment Creator: How many people registered via newsletter, had one subscription but it expired more than 90 days ago? 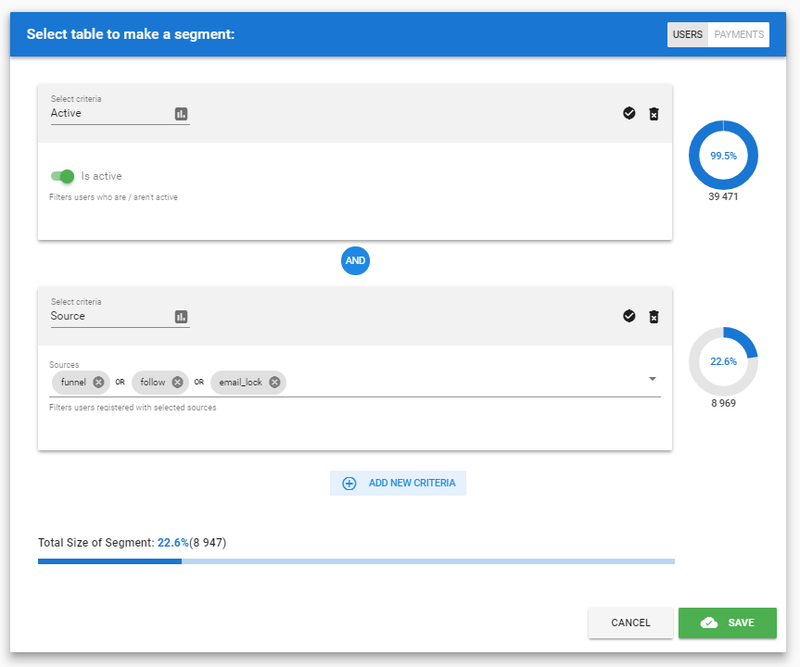 Questions like this can be quickly answered by Segment creator. When you are happy with the specific group of subscribers you have created, save the segment and you can immediately use it in Campaign or Mailer to target your campaigns. Easily create segments of users based on their surfing habits, previous interaction with banners or payment history. Use the segments in Campaign and Mailer to target the right groups of people with your marketing messages. 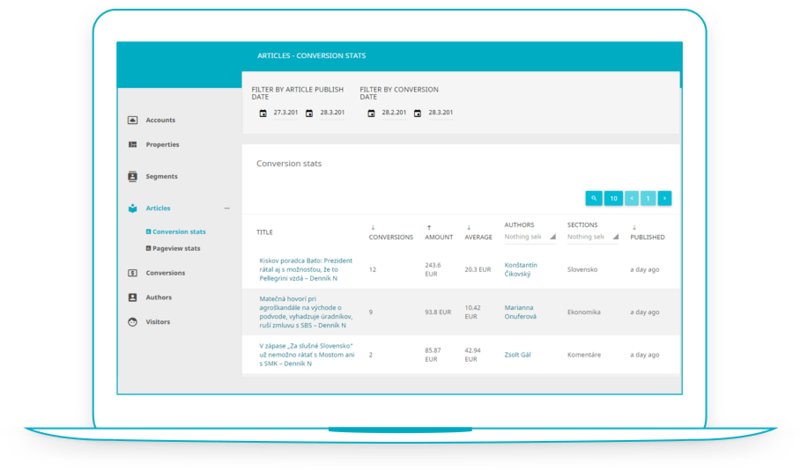 See detailed conversion stats for each article – how much revenue does the individual article, section or author generate? 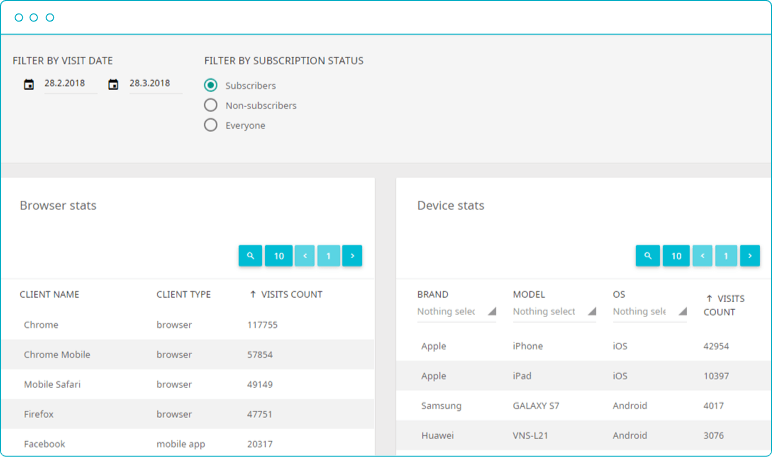 Detailed visitor stats – break down your readers according to whether they have active subscription or not, discover the differences between each group, see what segments convert best to paying readers.